Solving New Orleans drainage issues one young adult at a time. 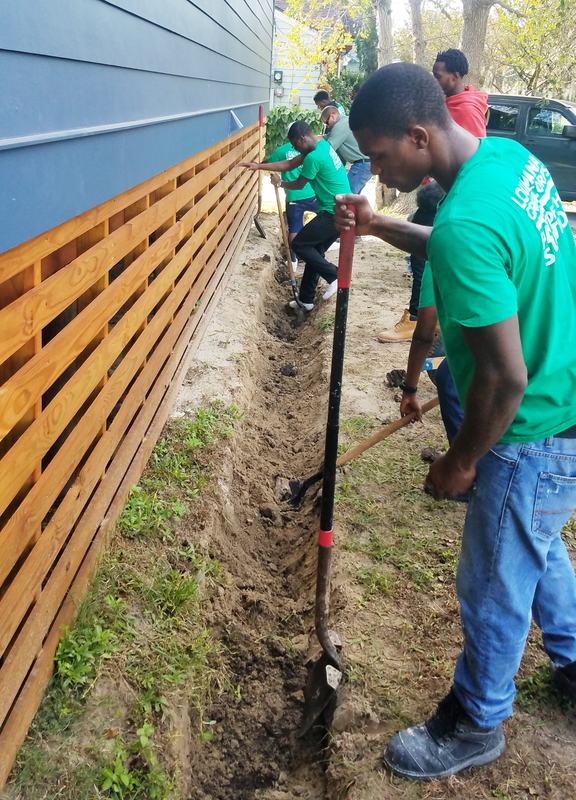 New Orleans Stormwater Training Corps (NOSTC) trains and employs young adults in providing affordable drainage solutions to homeowners. 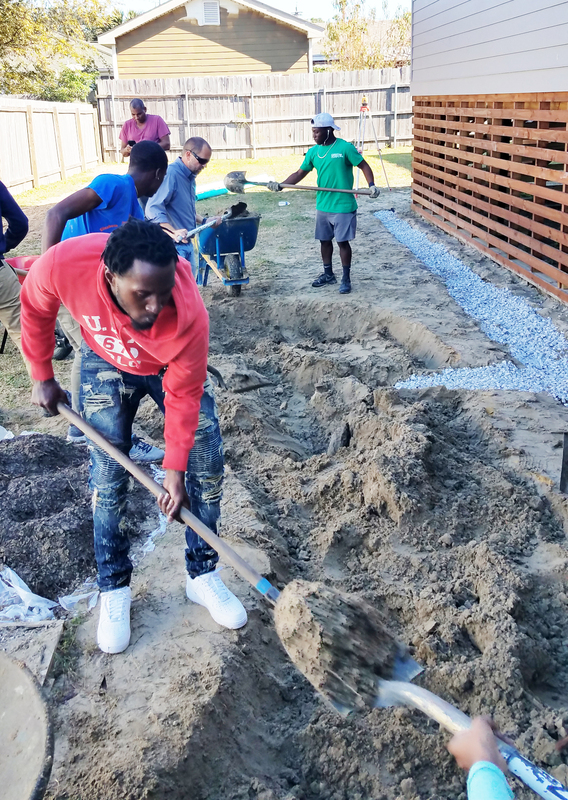 New Orleans Stormwater Training Corps (NOSTC) trains unemployed young adults to install and maintain affordable stormwater systems such as French drains and rain gardens on residential properties to help address the flooding issues in the Greater New Orleans area. Students trained by a licensed professional. Does your street flood? Does your yard flood? 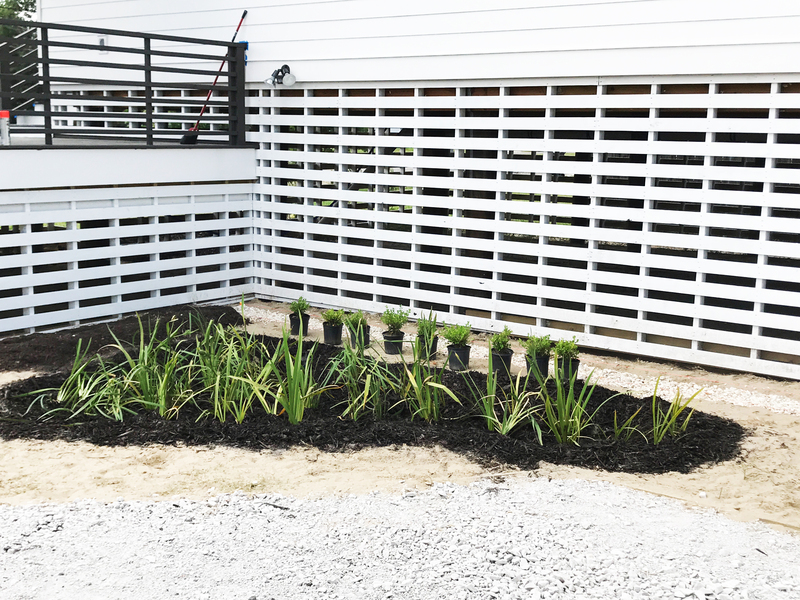 Protect your investment (home) by having a french drain and rain garden installed on your property. Maybe you don’t have an immediate problem, but would you be willing to be a part of the solution if they could do so affordably? Teaching awareness and preparing next generation on how to deal with water. Have a licensed professional come to your home for a free stormwater assessment. We mitigate 40,000 gallons of rainwater a year. Position opportunity youth to lead the residential stormwater management industry and create a more environmentally sustainable New Orleans. 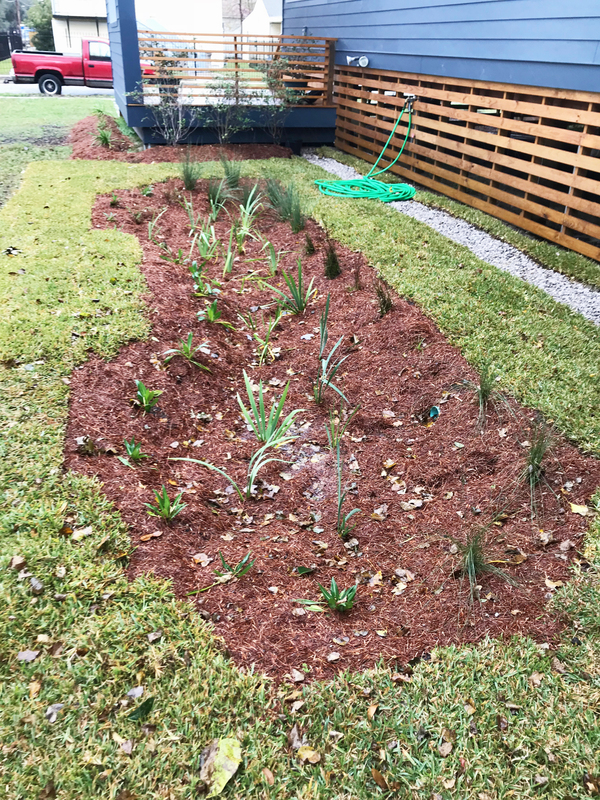 French Drains and rain gardens help rain water absorb back into the ground instead of into our outdated and overburdened drainage system. Empowering homeowners to play an active role in the solution. NOSTC is a collaboration between Greenman Dan, Home by Hand and Louisiana Green Corps. NOSTC is an initiative of Louisiana Green Corps which is a registered 501(c)3 non-profit.